Start Reading - Phonics Fun! For ages 3 - 5 & 4 – 6 years. Playful learning is the heart of these successful beginning reading “classes”. Children learn the phonic sounds of the alphabet and how letters work together to build words. They also start to read short words and sentences. The second level is geared towards children who already have started simple reading and writing. Reading, Writing & Liking It! Children love to learn. The magic of reading is at the heart of these small group classes and is the foundation for developing spelling, grammar and writing skills. Lessons are age-appropriate, enjoyable and instructional. As children’s skills and confidence in English reading and writing grows, so, too, does their motivation. Kids actually want to come to these English classes! Children at Bi-lingual or English-speaking schools. These lessons are designed for children attending English-speaking schools with English as either a native language or as a second or third language. The one-on-one teaching is especially helpful for children with ADD or ADHD. 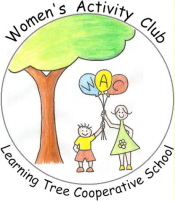 Small classes are tailored to the needs of each group and the individual children. Students are grouped according to developmental and skill levels. Individual instruction and tutoring for all ages through secondary school and gymnasium also is available. British and American English are taught. CUSTOM KIDS offers English Playgroups and a variety of FUN classes for native English-speaking children! * Activity class - Fun with numbers, science, shapes and more! All of our leaders and teachers are qualified native English-speakers from Canada, U.S.A and England. Remedial Classes - Grades 1 to 12. English and Math lessons - Liberal Arts Curriculum. After - School and Saturday Drop-In Program. CUSTOM KIDS offers playgroups and a reading & writing program for native English-speakers. The playgroup is for 2-4 year olds and the reading & writing program for children from the age of 4 through to 12. All of our leaders and teachers are qualified native English-speakers from Canada, U.S.A, England & Australia. Parents & Tots: The 1st Monday of each month 9.00-11:00. Sign up in advance is required. Playgroups: Tuesday and/or Friday 8:45-11:15. Wednesday and Thursday coming soon. Please contact Erica Hofstetter 079 817 1642 for more information. The “Little Graduate” is an English interactive course for children ages 3 to 11. Mother tongue teachers at Kids' Klub will introduce games, songs and activities adequate for the children's age and development stage. The goal is to get them involved directly in the learning process. Fun and games are a useful tool to learn a language as they provide rules and feedback from the children. Unlike adults, children have no inhibitions as they learn another language and they benefit from numerous advantages to their emotional state. To learn a new language means that the children will be in contact with different cultures which encourages them to find new ways of thinking and doing things. Kids' Klub ... learning while having fun! • Every child is happy and stimulated. • Every child’s efforts are valued. • Every child has the opportunity to develop knowledge, skills and understanding according to his or her abilities and regardless of their race, culture and gender. • Children learn to respect and look after each other. • Feel confident to approach staff with queries.